Tomorrow a new week is going to start and the matches of IPL 4 will continue as usual. 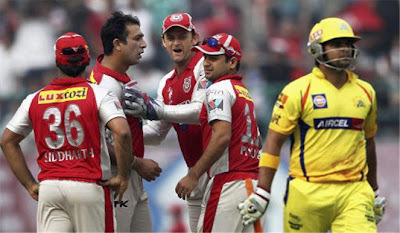 Tomorrow on Monday 25th April 2011 we will be witnessing only one match that will be played between Dhoni's Chennai Super Kings vs Yuvraj Singh's Pune Warriors in Chennai. Pune and Chennai are at 7th and 9th Place respectively at the Points Table of IPL due to several defeats so both the teams needs to win tomorrow's match to go up on Points Table.